I’ve been meaning to share this with you guys for a few weeks now, but to be super honest with you I kept forgetting. When you hear what I have to tell you that might seem terrible,but hear me out. The month of May was so insane. We had more than one big thing everyday along with work, school, booth, blog, friends, family, parties, celebrations, conferences, travel, I mean I could keep going. I feel like I am in the season of my life where I am just constantly on the go & never have a moment to breathe & I’m ok with that. A lot of amazing things have been happening to me & I’m so thankful. I will embrace the busy for now. On top of all that I lost one of the most special men in my life in the beginning of the month, my grandpa. I’m crying as I write this because whenever I think of him my heart just hurts, I miss him so much & would give anything to see him again. It’s made what I’m about to tell you harder, but easier at the same time. & there is always the part where I want to share the happy things here. The DIY projects, the home decor, and all the lovely things, but this is also part of our lives & you guys have been on this journey with us so I wanted to share as soon as I had the words. Right before my birthday at the end of March, Jose & lost our 5th baby. That’s kind of hard to type because it feels like such a huge loss. 5 of our babies are now in heaven with our Lord & Savior. We found out we were pregnant with this precious bundle of joy on Valentine’s Day this year 3 months after we lost our 4th baby when we were living in North Carolina. We were not trying to get pregnant at this time, but you know things happen & of course we were overjoyed that God wanted us to be pregnant with our 5th baby. & of course we were scared because we had lost our first 4 babies before this one. We were also nervous because we didn’t really have a doctor yet in Michigan & we knew things would be way different now that we were out of the military. Everything was going smoothly & I felt tired, bloated, and sick which is great when you are preggo right? Well, I was in LA for a week I was feeling super pregnant which at 8 weeks is just a lot of bloating, extreme exhaustion, & for me.. Just not feeling or looking to hot. I was kind of happy I was feeling like that because it kept reminding me that this might just be a healthy pregnancy. Well, ok the last day in LA I woke up to get ready to shoot the commercial & while in the bathroom I started spotting. Terror ran through me. My stomach dropped & my heart fell out of my chest. Not again. After a quick call to the hubby who was back in Michigan he assured me that it would be ok & that I shouldn’t worry about it. I went on with my day with that of course in my head & a day later I was back in Michigan in the comfort of my home & waiting for blood results to see how our baby was doing. I was still spotting, but I knew that it’s sometimes normal to do that when you were pregnant & I also know that with the Lord all things are possible so I knew things weren’t officially over. The next morning I got the call from my doctor. At this point I just had a feeling already before he said anything. He then told us we had lost our 5th baby. I wasn’t shocked & I knew in my heart that something was wrong. I was sad that I never got to meet that baby of ours, & my heart hurt that we had to go through the process of losing another child. Mentally & physically it’s so painful & exhausting losing a baby. You see, not to be graphic, & of course it’s different for everyone, but when you miscarry if you choose to do so naturally. Your body goes into labor. You have labor like pains, contractions, & the whole birth process without being able to hold your baby when it’s over. We have always chosen to have the baby naturally and each time Mr. LMB is right by my side which I am forever grateful for his strength, nurturing spirit, & gift of knowledge in these medical situations, but oh how I wish we didn’t have to feel the hurt that is that of losing a child. Losing 5 babies is hard. Losing 5 babies hurts. Losing 5 babies is scary. I will do a separate post on the testing and everything we have gone through with our fertility journey if you guys would like, but it’s scary to lose 5 babies & not know what is wrong with you. There is a lot of questions that we can not answer, but I know who has the answer. It’s my father in heaven. He knows why these babies left the earth so soon, He knows how He will add children to our lives, He knows the plans He has for us. & I trust that with my whole heart. I can see our babies purpose in many ways, but lately in a huge way. I love meeting readers of my lovely little blog in person & since moving to Michigan there isn’t a week where I don’t meet s reader & almost 99% of the time they bring up our sweet angels. Most of them have also gone through loss themselves & tell me that by sharing our story it has helped them. & I hope you all know that by chatting with me on here about our babies, coming up to us in public & talking about our children, & all of the comments on social media about our journey helps us. & I’m so so so thankful for you guys. What an amazing feeling that no matter how many DIY projects or pretty home photos I share, you all talk about our babies the most. 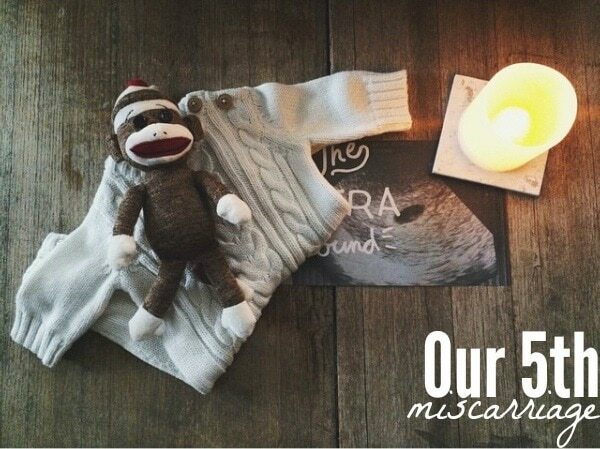 Sharing our journey with our first loss was so scary, but now with the loss of baby 5 I just can’t imagine not sharing our journey with you guys. Thank you! I know our babies have a purpose here on earth & seeing why their short lives ended so soon has blessed me so much & I’m so proud to be their mom. Our second & third babies. Just wanted to let you know you’re in my prayers. My heart goes out to you and your hubby. I will continue to pray for you. You are such an inspiration, what a strong woman you are. Never loose hope I know God will soon bless you with a precious healthy baby. I’ll be praying for you. Oh Liz you and your hubby are in my prayers! I am so very sorry you are having to go thru this. God has a plan though and it is hard at times to understand always in the end it is clear to us. Hugs! My husband and I lost 2 babies in our 30’s and never did have children. My doctor assured me that I was fertile. Obviously I could get pregnant. Later my husband and I did some genetic testing and found that it would have been difficult for me to carry a baby to term and that it would have been highly likely that the baby would have Downes syndrome. Both times that we were pregnant I was very bloated and had lots of water weight gain and felt terrible naseau but rarely threw up. We have 4 nephews and 2 nieces that we adore and love to pieces. I think we would have made great parents. But we’re amazing at being an Auntie and Uncle. It wasn’t meant to be for us. But I pray that you’ll be a mom. Lying here awake tonight thinking about the baby I just lost last week and missing that pregnant feeling you mentioned. Thanks for sharing this. I have been wanting to share as well. I want to celebrate our little miracle we worked two years to conceive. Thanks for making me feel a little less alone tonight. Prayers and blessings for you. I’m so very sorry to hear of the loss of your grandfather and also baby #5. I suffered 4 losses myself, it is a heart wrenching, indescribable pain. I’ve also been blessed with 4 beautiful babies that are healthy and thriving, including a set of twin boys! Hang tight to your faith and know there are abundant blessings coming your way. Your grace is an inspiration! Hey Liz, I just wanted to thank you for sharing. I know it’s probably hard and takes great courage. I also wanted to tell you something that helped me and my fertility. My pregerstone level dropped significantly around week 8 but the I heard of a Young Living oil called Progressence Plus. It’s a natural oil that is extracted from yams. Well I would just put 2 drops on my neck area twice and day and the next time I gave blood (had to give it twice a week for 3 weeks) my level went up 4 points! So much so that the nurse asked if I was talking medicine. My sister in law read about a woman who had 8 miscarriages and then started taking it and finally was able to carry her baby full term. Please understand I know you probably tried everything and I’m sorry if this comes across insensitive, but my heart in telling you all this is to help, not hurt. Please message me at sarah504adams@yahoo.com if you have any questions about it. Oh, Liz… I’m so sorry for your loss. I can’t imagine what you must be going through, but those babies sure are lucky to have you here loving them — and you are lucky to have them watching over you always. I would love to hear more of your fertility story because I can’t wait for the day that I hear of a happy ending on your blog, and I know it will come! Be strong for those babies. You’re in my thoughts and prayers. Xo. I am sorry and I understand you’re very strong both of you I chose to have d and c with one baby and cesarean with the other full term baby I am keeping you in my prayers. I had a friend who had 7 miscarriages and now has 4 adult Big strapping boys! I know your arms ache to hold them and you will in heaven! You are so much on my heart this morning, I am so sorry to hear about your loss. Ron and I did not struggle with infertility but our pregnancies were extremely hard and both my boys were born preemies. Isaac (spidey hat yesterday) was 4 lbs and Jackson (swinging in the basket) our youngest was 3 lbs. We really prayed and decided that after my extremely hard pregnancies, and how hard it was on the boys we shouldn’t have any more children. I also ended up finding out I had cancer when they were 3 and 4 years old and totally lost my ability to have any more children. But God gave us our boys early and unexpectedly, but he knew that later I wouldn’t have been able to have them at all. It is so hard to think about God’s bigger plan when you are going through these tough times, but I know from looking back that he always had the perfect plan for our family. My brother and his wife are also struggling with infertility and finally accepted God’s plan for them to adopt and just found out they are getting a little girl next month. I pray for you and Jose as you go through this, I know the hard times brought Ron and I closer together and I pray that God reveals his bigger plan for your family soon! Lots of love and prayers, have a safe trip to Boston and hope to see you again soon! Keeping you in my prayers, you’re so strong I just can’t imagine how your heart hurts. Thank you for sharing with us. As a momma of 10, 7 angel babies, I unfortunately know exactly what it’s like. We struggled to conceive and once we were successful for some reason my body would reject the pregnancy and I’d miscarry. It was so so hard to understand Gods plan for us while we were in the middle of that, so I’m extra grateful you have kept your eyes on Him through this. I’ve never carried a baby full term, but I now have 3 beautiful children through adoption. They were a part of Gods plan for us all along, I have no doubt. I still mourn what never was, and will never be, to feel a baby inside kicking, or with the hiccups. To nurse my brand new baby, to feel that moment of pure glory that my body made a tiny human. But I’ll never regret the journey God took us through to find our babies. And I’m hoping for one more, sometimes that feels so selfish, but being their momma is everything I hoped for, dreamed of and knew it would be. Don’t give up hope, God has a plan. I always said I could get pregnant, but couldn’t stay pregnant. I’m a new reader of yours, but wanted to share my story off the PCOS/infertility battle. Similarly, I lost 3 pregnancies with no explanation. To make a very long story short, I was diagnosed with PCOS and was told my eggs were “too old” (I was late 20’s/early 30’s). I switched to a RE very quickly (Reproductive Endocrinologist) and started IVF and donor egg. Nothing worked. Kept losing the pregnancies. We started looking into adoption and my RE said, “I have a new Nurse Practitioner fresh out of school and I’m going to let her look at your chart one last time.” She talked to me for a long time and said, “When is the last time you’ve had a glucose tolerance test?” Needless to say, I “failed” that test and labeled “glucose intolerant” (old term:borderline diabetic) which is very common in PCOS patients. She immediately placed me on diabetes medication (Metformin) to control my *only slightly off* glucose numbers and in 3 months, with only one working ovary, conceived and carried my daughter to term. I told no one until I was 16 weeks along and couldn’t hide her…I was still that terrified. 18 months later, I did the same, back on diabetes meds and now have a son too. It was a long 5+ year battle between starting to try for kids and when my first child was born. After my marriage ended, I now have full custody of my children…I met my boyfriend who also struggled with infertility. He and his ex created a family through adoption. He has a beautiful 3 year old daughter now. It is a struggle when it seems everyone else can have kids by brushing past each other in a hallway, yet we couldn’t do that. I’m sorry you are going through this very painful situation. I wish you both peace. You, your husband and your precious babies are in my prayers. 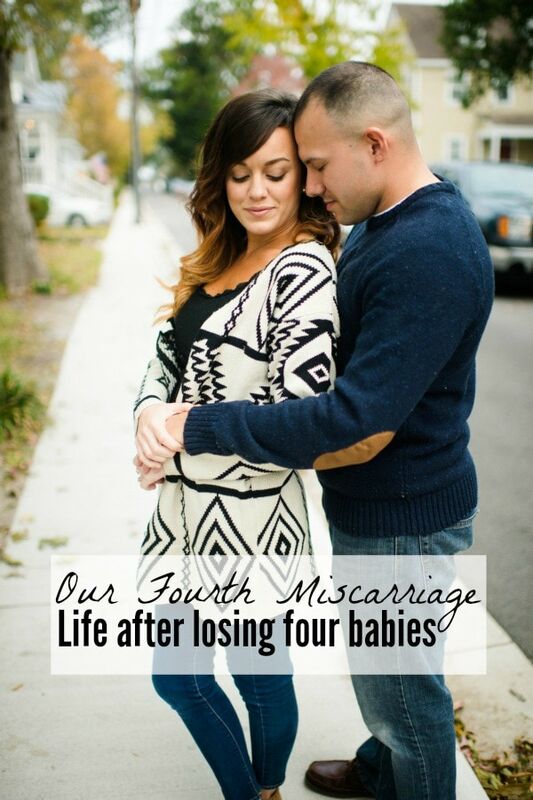 I personally know the heartache that comes with miscarriages. I have an 8 year old son, I’ve had 3 miscarriages over the past 2 years and I am currently 25 weeks pregnant. I’m telling you this, to give you some hope. Going through the losses made me feel incredibly hopeless and unsure at times. Things seem to be going well with this pregnancy, but it’s still scary. I feel like something could happen any time. I’m trying to trust God’s timing and praying for you in the midst as well. I love your DIY but when you share these parts of your life, it resonates with me. I have PCOS too, and I am thankful for the way you share your story and bring awareness to what women with PCOS are going through. I haven’t been blessed with any babies yet, but I am continuing to pray about it and know in my heart it will happen somehow. You are so courageous and I thank God for your candor as it has helped me so much to share in your story. Dear Liz. I’m so sorry you have endured all this pain.. My family decided on adoption and truly has been the blessing of my life. My son was with us two days after he was born.. The greatest gift God gave me. Please look into your options. God has a plan for you and your family.. Don’t give up hope and trust in him..
I’m so sorry for your loss. Knowing that your grandpa is with your angels actually warms my heart. I have three angel babies myself, one who is my daughter’s twin, now I know that they’re being loved by my poppa Jack. ((hugs)) and thank you for sharing your journey. I was too shy to come and say hi in person at the workshop. Liz Marie, You are an amazing woman. I found your blog a long while ago and fell in love with your decorating style but along the way have also found your stories so touching as you share such intimate details about your life with well, strangers and for that I give you so much respect and admiration. I myself lost 5 little ones as well but then as miracles have it was blessed with a precious little girl. I pray the same for you Miss Liz Marie. My thoughts and prayers are with you my friend. Thank you for sharing your story. I am so sorry for yet another loss. We also lost a baby. I had an emergency c-section at 35 weeks and our Ellie Catherine lived for three days. It was the most gut wrenching, darkest days of my life, but I know without a doubt she is heaven with our Savior. Your faith is amazing and it is so encouraging to see that get you through. You are not alone and I will be praying for your and your future. I can look back and see now that God was is in control, is in control now, he has a plan, and loves my baby girl more than I can imagine. And someday we will get to see our babies. Thanks for letting me be a part of your journey. Oh Liz Marie I am so sorry to hear your news I have 3 muscarriages before having treatment via a dr in the States despite living in the uk. I have got factor v Leiden plus we needed LIT treatment. The Dr we were under was dr Beer who has sadly passed but his work is now accepted practice here in the uk now. We had our daughter nearly 13 years ago and then went on to have 2 more miscarriages – I didn’t have the treatment again ( the lit treatment only lasts 2 years) so we just focused on our daughter. You will get there but sometimes our bodies need a little help from science. I am thinking of you and your family at this time. Your positive attitude to this is amazing. Hey Liz, more than anything else, I’m grateful for the heart you have in placing your faith in the Lord and sharing this with all who come across your blog! What an encouragement you clearly are to others and what a testimony you are. My heart goes out to you and your hubby, keep doing all you do for His glory and keep praising Him even in the storm! The greatest impact we can have on others is for them to see the love and peace we have during these times, and that it clearly comes from Him alone!! That even through a blog on design, some would even come to know Jesus! Amazing! Thanks for sharing girl! Im reading you from Mexico. My prayers with you, you are so strong, I cant imagine how can you feel. I would like to know how you realize you hae PCOS? 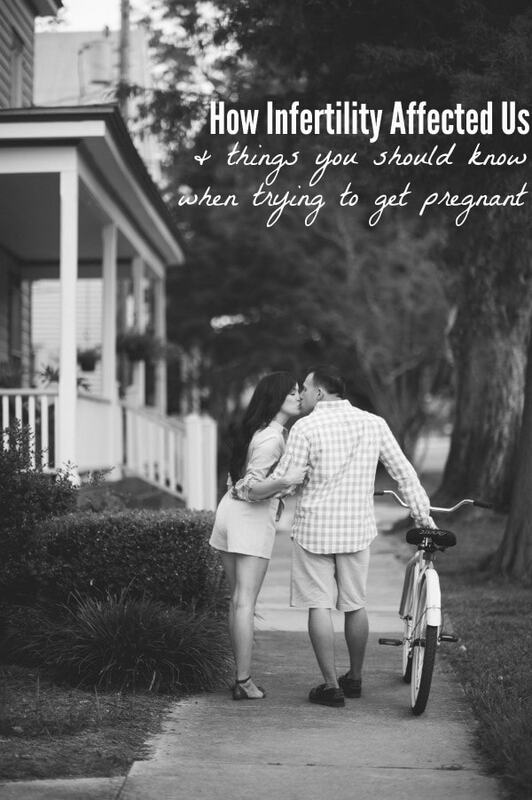 My husband an I have been traying getting pregnant for 6 months. Is supposed Im OK, but, you can find PCOS just with a normal doctor revision? Thanks for sharing, the Lord is with you and your husband. Hi! I’ve been a reader for awhile and just moved from Grand Rapids to the east side of the state BUT I had an OB in GR that I LOVED. I cannot sing his praises enough! I know you mentioned you found a doctor but if you’re not in love with him/her, you should consider Dr. John LaGrand (private practice)! You would love him and I know he’s great with infertility, too. Praying for you and Mr. LMB. I am so sorry for your loss. I more of a “silent subscriber” but this post really touched my heart and I just wanted to comment. Wow, talk about tears! I too miss my grandfather so much! the other day I had a dream about him then while in the office the other day a gentleman walked in and when he laughed it sounded just like my grandfather and to know that my grandfather is in heaven with our baby who I misscarried just overwhelms me and I can’t wait to one day see them again! I am so sorry for your loss. Thank you for your willingness to share such a painful and private experience. I too have 5 babies in heaven. We were blessed with a daughter and then had to say goodbye to our five precious children. The Lord chose to heal my womb and we have now been blessed with 6 more birth children. We have also adopted two children. That makes for a total of 9 living children (but I count my little ones in the Lord’s arms for a total of 12 birth children and a whopping total of 14 all together. ). I miss my little ones and find comfort in knowing that we will one day be reunited. The Lord is our great comforter and He will bring you to a place of peace if you let Him. Once again, I am sorry for you and your husband’s loss. Thank you for sharing. God bless you. It was so sad story, I just cried reading this. I wish you the best things, you are so strength and inspirational. I’m here for the first time but i’m sure, not last one. It was so nice meeting you last week at Bloom! Can’t thank you enough for being on the panel for us! You are in my prayers and I know the Lord is sustaining you through this confusing and frustrating time. You are such an amazing lady to share your story with so many who have no idea that this sort of thing happens…a lot sometimes! Hoping for a sweet baby in your lives VERY soon! You are handling this with such amazing grace, and I can’t imagine how difficult that must be. My best friend was diagnosed with PCOS, so I have been extremely involved in learning more about it. May your loved ones be amazing people to lean on until you finally get your rainbow baby! Oh Liz and Jose, I am so sorry that you have lost another child. You have my prayers, as does your little one who, no doubt, is in the loving arms of your grandfather playing with his/her siblings. What joy they must know. With the Lord and your grandfather! Like you, my Papa, was the light of my life. He passed away four years after my father. I was 19 yrs old and I honestly cannot even speak of him without tears–and I’m 58 yrs old now. He was the person in my life who made me feel special and unconditionally loved. I cry every time I read of your losses. I came to your blog to see what was new when I came across this post. My heart aches for you and Mr. LMB. 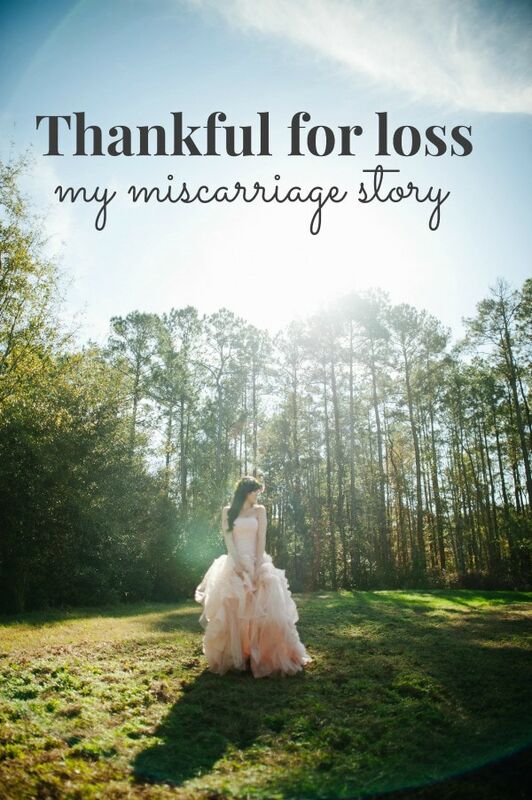 Back in October I read your post “Thankful for Loss: My Miscarriage Story”. Having recently been through my second miscarriage it was validating and extremely healing to read your story and feeling the sense of peace you had. That night I found myself driving around at 2am, crying my eyes out, and I kept driving past one of our local churches. Your openness helped me to pray for the first time in YEARS. Thank you. Now, here we are again, months later, and I’ve suffered my third miscarriage (February) and you’ve had your fifth. All three of my miscarriages passed naturally also so I understand the pain and fatigue you’ve suffered. I’m so sorry to hear about your Grandpa, too. You’re a beautiful, inspirational person and I know that (if you haven’t yet) you will find a beautiful way to honor his memory and give your soul some peace. Love and prayers to you and your family.